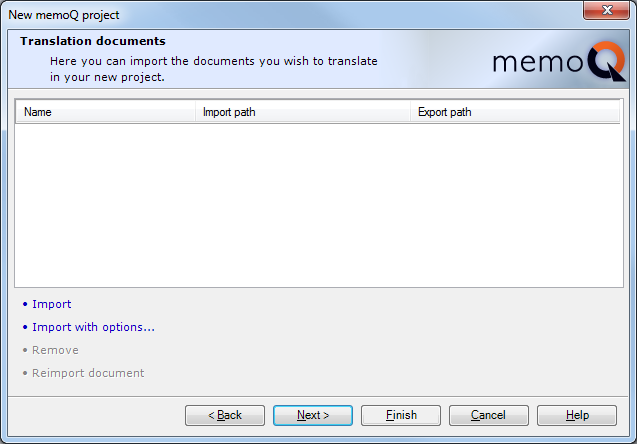 As with most other translation environment tools, memoQ translations are performed in "projects" which bring together all the necessary support resources for reference, quality assurance, etc. 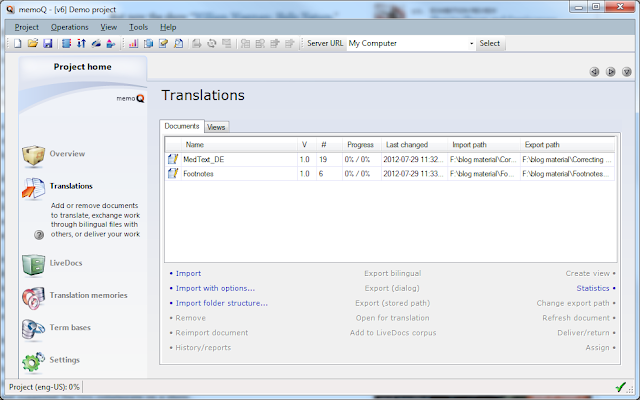 This opens the Project Wizard. Name the project, choose the source language and a target language and add any relevant meta data (for inclusion in translation memory and term data). Recording the version history is a good idea if new versions of source documents may come or if you want to track changes in a translation. 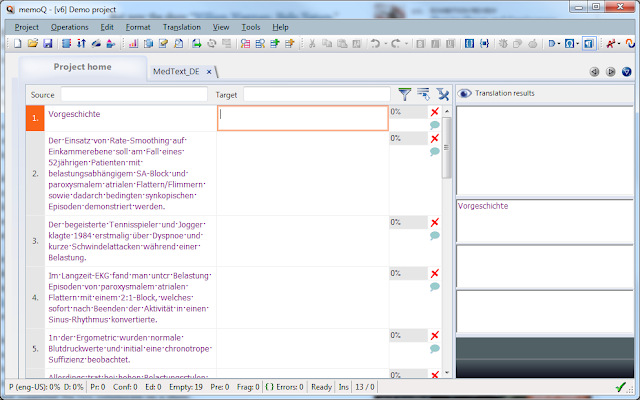 The next wizard screen lets you select the documents to translate. These can also be added later if you do not have them or are creating a template project for later use. Import adds the selected documents to the project using default filters; Import with options... allows other filters to be specified or special filter settings to be chosen. 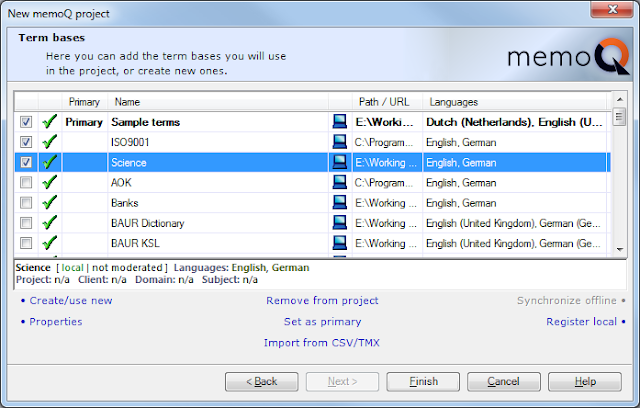 The translation memories page of the wizard shows all the registered TM resources; memoQ uses a primary TM into which translated segments are written and as many reference TMs as you like. Here the ISO 9001 memory is chosen as a reference for matching and concordance search. Termbases also have a "primary" termbase and any number of reference termbases, but unlike TMs, new information can be written to more than one termbase simultaneously if the settings are adjusted later. 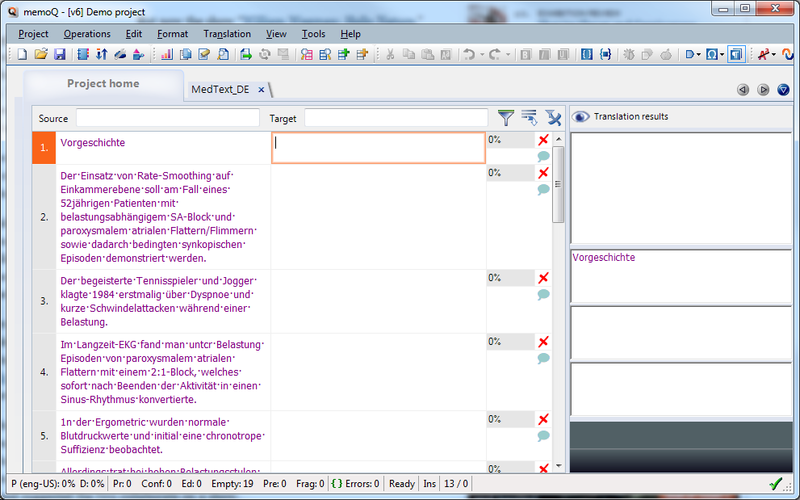 After the project wizard setup is finished, the project is ready to be used for translating. 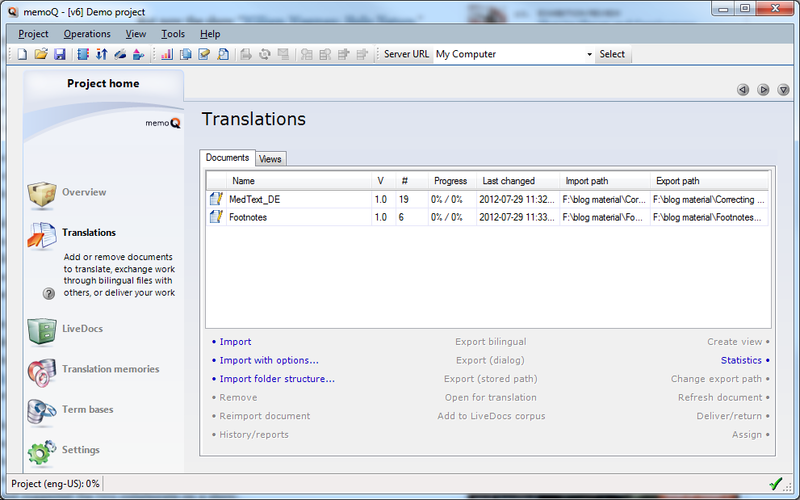 Double-clicking an item in the translation documents list will open it for work. 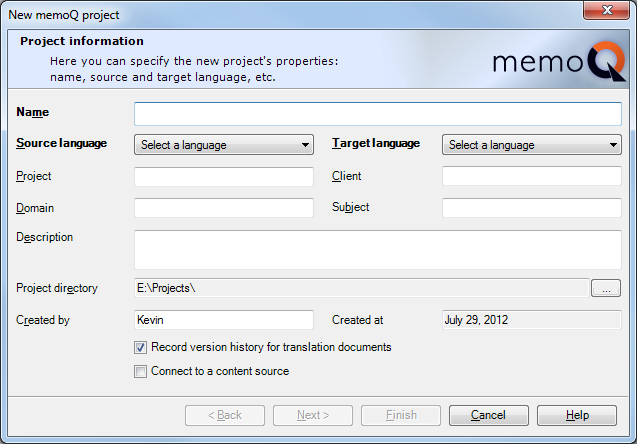 I am very interested with memoQ6. Where can I get an application like that?